Your travel's planned, now you need somewhere to stay. With Homestay, you can find and book that self-catered appartment, a full house let for you and your friends, or get a room with Bed & Breakfast accross the Island. If you have special requirements simply ask the host directly. I have read all about the TT in magazines and have seen TV programmes – but nothing can prepare you for the real experience. Are you a Champion Host? 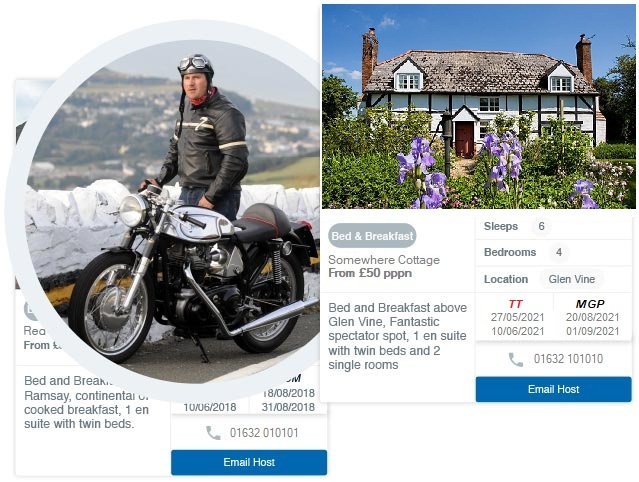 The Isle of Man Homestay scheme is here to help you accommodate visitors during the Isle of Man TT® and the Festival of Motorcycling. 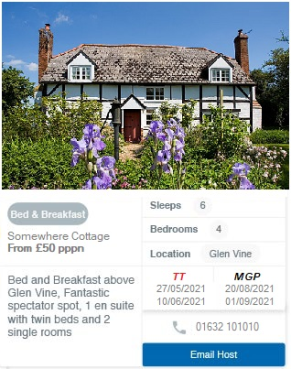 Add your property details, manage your availability, set your rate and make new friends while you do it.